Dave turned down a doctorate at Cambridge and a life as a concert cellist to hitch a ride on the dotcom train, doing branding and comms stuff for tech brands. Finally plucking up the courage to scratch the musical itch, he ditched the day job and made the leap into music production and songwriting in 2003. He signed to Universal Music Publishing the same year and over the next decade wrote and produced for acts as diverse as Kylie, Bat For Lashes, Gorillaz, Jamelia, The Verve and Lily Allen, bagging a top ten hit, starting a breaking Radio 1 act and amassing numerous writing and remix credits. In 2006 he began working with entertainment marketing specialists Creative Partnership as a musical collaborator and creative, writing TV scripts, rescoring trailers and generally making a nuisance of himself. Until they made him head of Creative. Here he started working with brands like Lovefilm and Betway, which came in handy as it turned out. 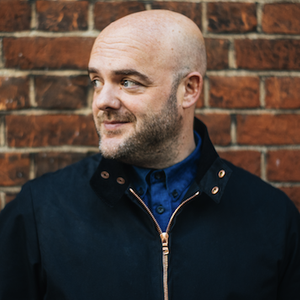 In 2012, he founded Above+Beyond, which became one of the UK's fastest growing independent creative agencies, producing creatively mischievous, audience-age work for brands as diverse as Amazon, Betway, Meantime, Unilever and Pilgrims Choice. In 2017, alongside his partners at Above+Beyond, he founded The Beyond Collective, the independent creative group.